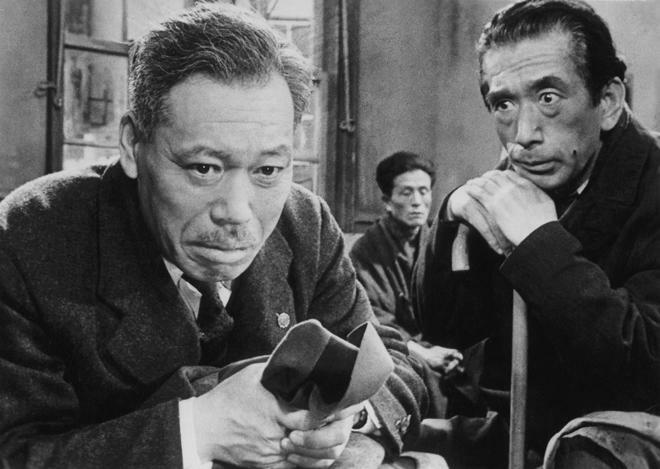 One of the greatest achievements by Akira Kurosawa, Ikiru presents the director at his most compassionate—affirming life through an exploration of death. Takashi Shimura (Rashomon) beautifully portrays Kanji Watanabe, an aging bureaucrat with stomach cancer who is impelled to find meaning in his final days. 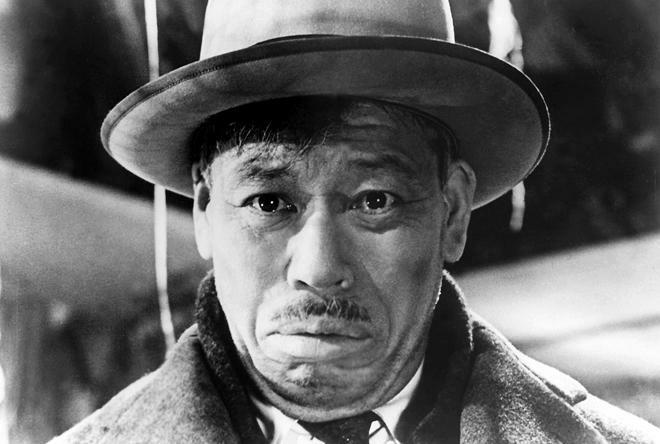 Presented in a radically conceived two-part structure and shot with a perceptive, humanistic clarity of vision, Ikiru is a multifaceted look at what it means to be alive. To be alive, all one really needs is a beating pulse. But to truly live? Well, that's a bit more complicated. Without meaning or some level of personal fulfillment, existence can become nothing more than a fleeting distraction -- a listless countdown toward inevitable collapse forged from a tragically mounting reel of quietly wasted moments. But if one can somehow manage to find genuine purpose within the cascading haze, then perhaps even the looming shadow of mortality need not be such a frightening prospect. In Akira Kurosawa's 1952 masterpiece, 'Ikiru,' one dying man decides to embark on such a journey, and his noble quest to relight the spark behind his eyes becomes one of cinema's most affecting portraits of humanity. When an aging bureaucrat, Kanji Watanabe (Takashi Shimura), discovers that he has terminal stomach cancer, the man suddenly realizes that he's wasted his life. Faced with his impending death, Watanabe decides to finally start living. As he searches for meaning, he eventually finds inspiration from a young woman. With his passions now reignited, he attempts to leave his mark on the world, but the grinding gears of bureaucracy threaten to derail his efforts. Deliberately keeping Watanabe at a distance, the film's first few scenes instead rely on supporting characters and a disembodied narrator to set the stage for our tragic protagonist. Consumed by fruitless work, the man is essentially a non-entity, so much so that it seems as if Kurosawa doesn't even feel the need to intimately aquatint him with the audience. He's not much of a man yet; he's merely a sleepwalker. But as the runtime evolves and Watanabe learns of his diagnosis, the focus dramatically shifts, allowing us to feel the sudden pain of his dilemma with aching pathos. Constantly hunched over with his gaze tilted toward the ground in mournful reverie, Shimura initially plays the character like a lurching ghost. Each step he makes and devastating glance we catch carries the full weight of a lifetime of regret and a solemnly ticking clock, and as the man slowly reveals a deeper well of emotions, the actor turns in the performance of a lifetime -- gradually igniting a palpable spark of life back behind his once fading eyes. And to realize Watanabe's journey toward purpose, Kurosawa employs a rather unconventional narrative structure. To this end, the script becomes quite episodic in nature. Early portions offer flashbacks and extensive scenes that follow Watanabe as he embarks on a night full of gambling, drinking, and women, and then as he finds solace in the infectious youthful spirit of an innocent girl he used to work with. These sequences allow us to witness his evolving mood and perspectives firsthand, but there eventually comes a time when Kurosawa decides to pull back, once again placing our protagonist at an intentional distance. On that note, the filmmakers take a pretty risky gamble in the second half of the movie, and while this radical storytelling choice could have horribly backfired, the decision ends of paying off beautifully, tempering the last act's potential excursion into sentimentality with a perfect balance of bittersweet hope, sobering defeat, and inspiring triumph -- all realized through a visual style that finds cinematic truth through imagery. Widely regarded as one of the greatest directors to ever live, with 'Ikiru,' Kurosawa fully lives up to this lofty reputation. Deliberate compositions, blocking, camera movements, extended takes, montages, cuts, and sound design are all used to enhance the experience, creating deeper levels of meaning and emotion through form. Characters are often framed between large stacks of paper or within doorways, elaborating on the distance and separation between them caused by the emptiness of their work. Flashbacks are delicately weaved into the present with matching movements and overlayed sound, and another early montage sequence makes great use of swipes to exaggerate the never-ending run-around of bureaucracy. Layered frames and carefully positioned characters also enhance the internal drama of specific scenes. One particularly noteworthy shot, for instance, features Watanabe retreating from the middle of the frame toward the foreground as he learns about his terrible illness. As he moves closer toward the edge of the screen it's as if he wants to escape from the shot itself, but Kurosawa's lens holds him in its grasp. Another later sequence reveals the understated power of sustained camera work. As a drunken Watanabe begins to wistfully sing a song from his youth, we linger on a simple close-up of the man -- his eyes caught in a distant gaze, slowly swelling with tears. Kurosawa keeps the camera fixated, offering no break or relief from the wave of emotion, allowing us to experience the full breadth of Watanabe's melancholic passion with each heartbreaking note. Life may be brief and frustrating and unfair, but that doesn't mean it can't have purpose. Especially if you're willing to fight for it. 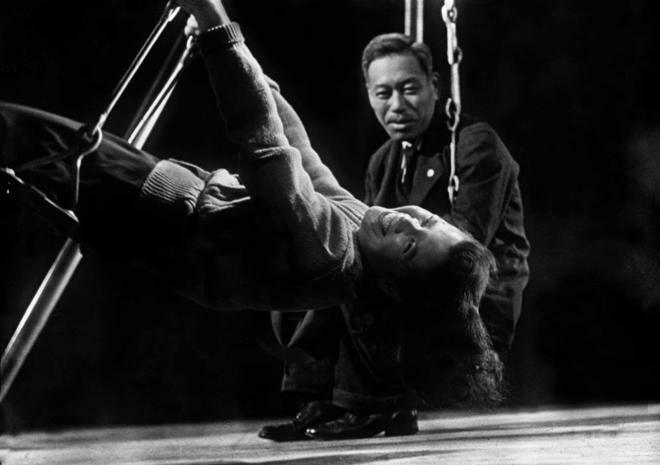 Somber but not without hope, 'Ikiru' paints the sorrowful picture of a world content to passively exist and the compassionate man who finds the strength to truly live in it. While many filmmakers frequently ask questions about the meaning of life and death, Kurosawa actually provides an answer. But like any masterful director, he refuses to present it in words. Instead, it's hidden within his images. Within the bittersweet smile of an old man singing in the snow. Criterion presents 'Ikiru' in their standard clear case with spine number 221. The BD-50 Region A disc comes packaged with a pamphlet featuring an essay by critic Pico Iyer and a reprint from critic Donald Richie's "The Film of Akira Kurosawa." Mastered in 4K from a 35mm fine-grain master positive, the movie is provided with a 1080p/AVC MPEG-4 transfer in the 1.37:1 aspect ratio. Though there is some understandable wear visible, the image does justice to Kurosawa's powerful cinematic form. The source is in decent shape, but there are moderate signs of damage and age apparent throughout the runtime, including vertical lines, scratches, and contrast pulsing. Thankfully, a natural layer of grain is preserved and several stretches (particularly later on) tend to offer a cleaner picture with less wear. Likewise, overall detail is strong with sharp fine textures and even some pleasing depth visible in the director's layered shots. The grayscale is solid as well with bright whites and deep blacks, but balance does waver a tad, with some shots looking a bit blown out and others appearing slightly crushed. While there are sadly limits to how good 'Ikiru' can look on Blu-ray (its original negative no longer exists), this is a respectable transfer that preserves the film's memorable imagery free from any unnecessary processing or notable digital artifacts. The audio is presented in a Japanese LPCM mono track. Marked by careful design choices and emotional music cues, this is an artistically strong audio mix that manages to shine despite some age-related issues. Dialogue is relatively clear but the track has a comparatively muffled quality in speech, particularly early on. With that said, the overall mix retains a solid level of depth, especially in music. Subtle sound effects (like background ambiance in a hospital) help to delicately enhance the mood, while more aggressive moments (like a rowdy dance club scene) offer appropriate range and bustling activity, making the most out of the single channel of audio. More deliberate sound design choices, like an instance where the track is momentarily muted and then abruptly elevated, are also notable, using sound to reflect the character's state of mind. Thankfully, outside of the aforementioned muffled quality, pops, crackles, and hissing are negligible. Like the video, there are some unavoidable limitations here, but the thoughtful sound design remains rather potent. Criterion has put together a strong collection of insightful supplements, including a commentary and a comprehensive documentary on the director. All of the special features are presented in 1080p or upscaled 1080i. English subtitles are also provided for the foreign language portions. Commentary with Stephen Prince – Recorded in 2003, this track features the author of "The Warrior's Camera: The Cinema of Akira Kurosawa." Prince provides a steady and informative discussion that details the film's place in history. Likewise, Prince also elaborates on the movie's unique structure and themes along with frequent visual analysis of the director's compositions and camera movements. A Message from Akira Kurosawa: For Beautiful Movies (HD, 82 min) – This is a comprehensive documentary about the director that features the man himself as he discusses various aspects of his filmmaking process and his overall views on cinema. Likewise, we also get some fantastic on-set footage of the legendary filmmaker in action. This is a wonderful inclusion and genuine must watch for Kurosawa fans. Akira Kurosawa: It is Wonderful to Create (HD, 42 min) – This 2003 doc traces various elements of the film's production along with interviews from many of the movie's cast and crew. Trailer (HD, 4 min) – The film's trailer is included. 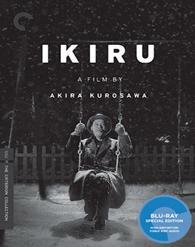 Akira Kurosawa's 'Ikiru' is a bittersweet exploration of life, death, and compassion. Through its humanistic tale of one dying man's search for meaning, the director creates a lasting cinematic experience. Though there are some understandable limitations, the video transfer and audio mix are both good, offering a respectable technical presentation. Likewise, the included supplements provide some great insights into the legendary filmmaker's process. One of the greatest films from one of cinema's greatest directors, this is a true essential piece of motion picture art. Must own.